University journalism programs across Canada say they need more money, staff and time to properly educate students about Indigenous history and the impact of residential schools — nearly three years after being told to make such education mandatory. 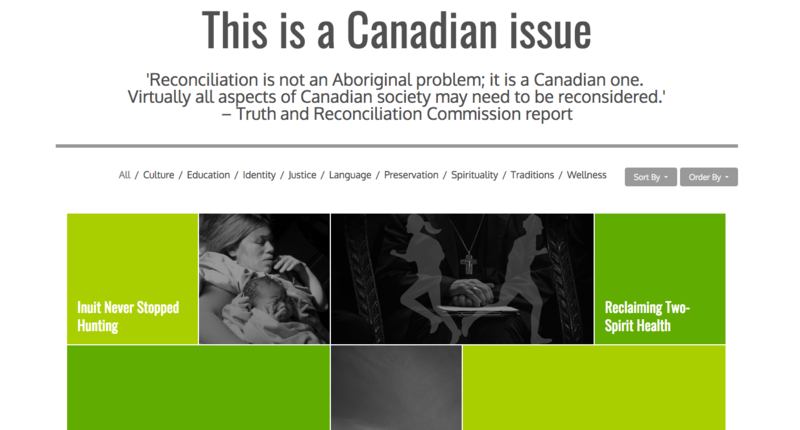 In June 2015, the Truth and Reconciliation Commission (TRC) released 94 Calls to Action, a list of actions the commission says are necessary to advance reconciliation between Indigenous peoples and non-Indigenous Canadians. Call to Action 86 called on media and journalism schools to include mandatory instruction on the history of Indigenous peoples, including the history and legacy of residential schools, Indigenous-Crown relations and Indigenous law, including international human rights laws. 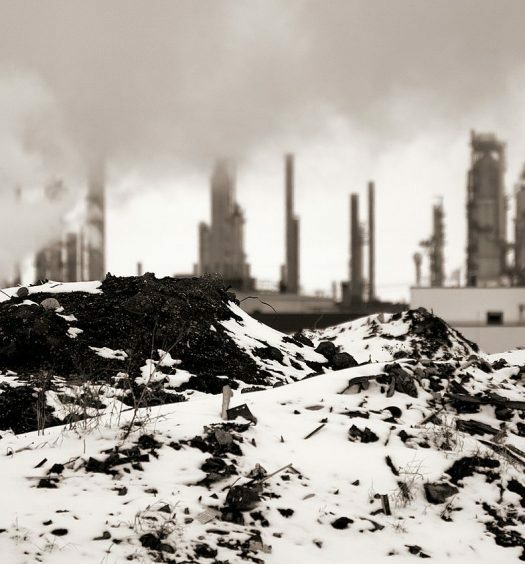 J-Source emailed a survey to 21 journalism programs at 19 schools across Canada last fall to learn if, and how, they are responding to this Call to Action. Schools with graduate and undergraduate journalism programs or majors in journalism were contacted, as well as colleges that offer journalism programs in partnership with universities. Colleges with journalism or media programs not affiliated with universities were not contacted. Seventeen schools in Nova Scotia, Ontario, Saskatchewan, Quebec, Alberta and British Columbia responded. All responses were by email and were received between October 2017 and March 2018. J-Source was not the only organization tracking how journalism and media schools have responded to this Call to Action. CBC’s “Beyond 94” project details the response made to each of the TRC’s Calls to Action. Their findings can be found at the dedicated site, “Beyond 94.” Reporting about Call to Action 86 can be found here. J-Source’s survey asked schools about how journalism courses covered Indigenous history before the TRC’s Calls to Action were released, and how the journalism program responded to these Calls. It also included questions about if content about Indigenous history was taught by Indigenous people, and if these instructors are university employees. Schools were also asked if they have a budget devoted to Indigenous education, what supports are available to Indigenous students, including journalism-specific scholarships, and what barriers they face in responding to the TRC’s Call to Action. Most respondents answered the survey in its entirety; others sent brief emails describing their efforts. Their responses reveal varied approaches to implementing this Call to Action. Some are using it to bolster efforts that existed before the TRC’s final report. Others have modified current journalism courses to include material about Indigenous history, or require students to take courses from other disciplines about this topic. Some are creating specific courses on Indigenous history or Indigenous reporting, although not all these courses are mandatory. Schools report a desire to teach their students about these topics well. They want students to report on Indigenous communities and the issues that affect them sensitively and accurately. Journalism instructors are quick to describe the important role journalists play in educating the public about Indigenous communities, and hopefully in advancing reconciliation. Yet, these educators often face the same constraints teaching about Indigenous communities that journalists experience reporting about them: a lack of adequate resources and time. Many respondents said their programs included some education about Indigenous issues before the Calls to Action were released. This was done through courses devoted to the topic, either offered through the journalism program or another program, or by including units or lectures about Indigenous communities in mandatory journalism courses. Some schools offered one-time special topics courses Indigenous issues and the media. Individual professors often decided if, and how, to include this material. It was not mandatory. Professors who chose to teach about Indigenous People and history were often “making it up as they went along,” said John Kelly, who used to teach journalism at Carleton University in Ottawa and is now an adjunct professor at the school. Kelly, a member of the Haida First Nation, would often discuss work by Indigenous reporters when teaching required journalism courses. He gave guest lectures in other classes about properly reporting in Indigenous communities, something he still does today. “I’ll probably keep on doing it until they carry me away,” Kelly said. In his opinion schools have improved. Students at Carleton are required to take Canadian history courses, and these include content about Indigenous Peoples. This was required before the TRC’s report. Other schools have similar requirements. In Saskatchewan, all University of Regina pre-journalism students must take an Indigenous studies course. The school also shares faculty and resources with the First Nations University of Canada’s Indigenous Communication Arts program. When Western University in London, Ont. reorganized its Master of Media in Journalism and Communications program in 2014, it included a mandatory workshop about reporting in Indigenous communities. In Toronto, Ryerson University secured a grant to expand its education on Indigenous issues in its journalism program before the TRC’s final report, Gavin Adamson, coordinator of the school’s undergraduate journalism program, told J-Source in an email. Kelly said all Canadian universities “need to go as far as they can possibly go” to teach students about Indigenous history, he said. 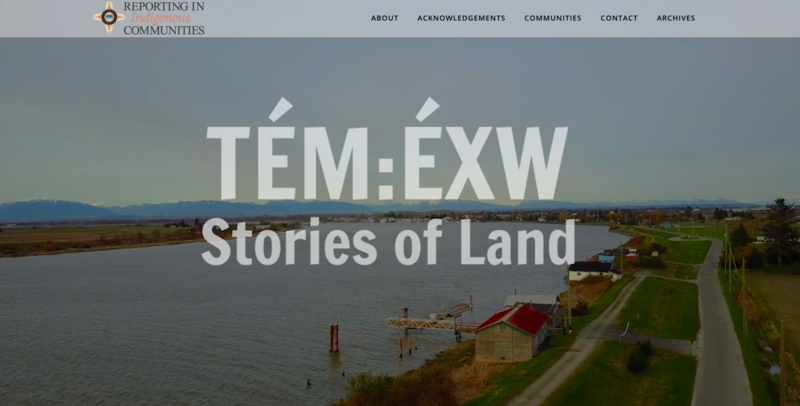 A project produced by students in UBC’s Reporting in Indigenous Communities class. Screenshot by J-Source. It’s a slow process – even at schools celebrated for their education on this topic. The University of British Columbia has prioritized Indigenous education in its graduate journalism program for years. Program director Alfred Hermida told J-Source in the school’s survey response that it’s an area of “strategic focus.” Mandatory journalism classes include discussions about Indigenous history, how Indigenous people are portrayed in the media, and newsroom diversity. The school’s Reporting in Indigenous Communities course has run since 2011. Developed by the CBC’s Duncan McCue, the elective course focuses exclusively on reporting about Indigenous communities. Students immerse themselves with local First Nations and report on issues important to these communities, while maintaining editorial control. McCue, who is Ojibwa, was teaching at the school before he developed the course. Back then, a lunchtime lecture he was asked to give was the only time students learned about reporting in Indigenous communities during the two-year program. McCue said he thought it was “ridiculous” to think students could learn anything of substance in such a short period of time. He developed his course to address that gap. The TRC’s Calls to Action do not specify how schools should educate their students about Indigenous history. Some professors think it should be taught in-depth in a specialized course; others say it should be incorporated across courses. Some schools are discussing how to incorporate Indigenous content across all programs – not just journalism. Some schools have developed courses exclusively about reporting on Indigenous issues and communities. These courses aren’t always mandatory. Ryerson began offering a special topics course about reporting on Indigenous communities in the 2016-2017 academic year. As Adamson explained in an email to J-Source, it’s online so as many students could take it as soon as possible. This fall, Humber College in Toronto, which offers a bachelor degree in journalism, expects to offer a new course devoted to reporting on Indigenous communities, program coordinator Dan Rowe told J-Source in an email. This course will cover the areas identified by the TRC. It will not be mandatory, Rowe said. Rowe told J-Source that the TRC’s report was released at the same time as a planned curriculum renewal. The school decided to incorporate meeting the TRC’s Calls to Action in the review. John Kelly said such courses should be mandatory. If they’re not, students could produce what he calls “mosquito journalism” where reporters come to a community, report the news and then leave – without taking the time to get to know the people or understand the issues. At Western, Mark Rayner, coordinator of the Master in journalism and communication program, said there are hopes to include an elective course in the second semester of the program taught by an Indigenous journalist. Developing this will take time. Western’s program is only a year, so there isn’t room to include another required course, he said in an email to J-Source. Other schools focus on having students practise reporting about Indigenous communities. This year, the mandatory senior journalism seminar at St. Thomas University in Fredericton is devoted to Indigenous history and reconciliation. Students will interview Indigenous communities across the province. Their work will be published on a website devoted to this project. In Halifax, students at the University of King’s College have partnered with kukukwes.com, an independent news site focused on Indigenous communities in Atlantic Canada. Students have profiled missing and murdered Indigenous women and reported on how schools are responding to the Calls to Action. King’s also tracks how many stories on the school’s portal of student work, signalhfx.com, mention Indigenous issues. That number has increased during the last couple academic years, program director Tim Currie told J-Source in an email. Some professors also assign students reporting assignments about Indigenous issues. Even schools with established curriculum about Indigenous issues are striving to do more. At the University of Regina, students and faculty have organized conferences about relationships between the media and Indigenous people since the TRC’s report was released. 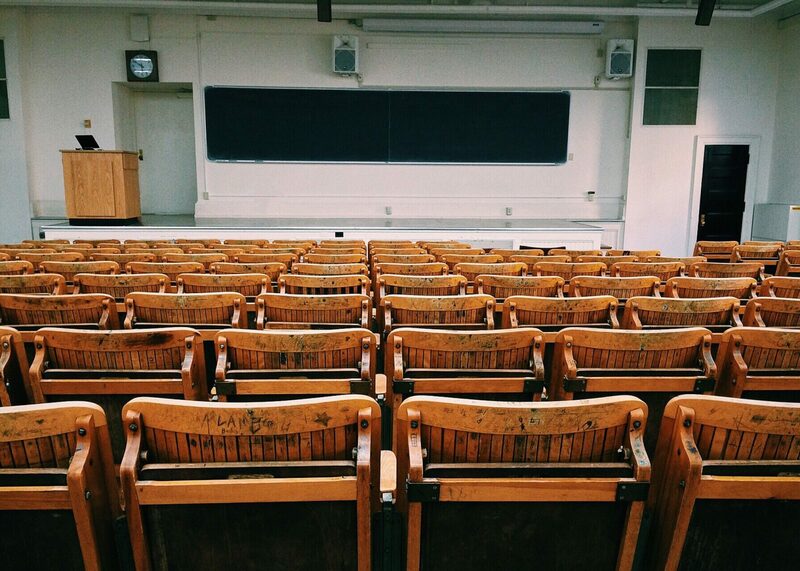 This semester, the University of British Columbia will offer a new course that discusses postcolonial media criticism and its relationship to journalists’ professional practice. University of Regina, working with Indigenous organizations and journalists, helped organize a conference to examine the media’s role in reconciliation. Screenshot by J-Source. Other schools, such as Kwantlen Polytechnic University in Surrey B.C. and Wilfrid Laurier University in Brantford, Ont. require journalism students to take introductory courses about Indigenous issues. These are not journalism-specific courses. However, one respondent, the University of Ottawa, said the school hasn’t made any response. Gabriela Perdomo Paez, coordinator of the school’s digital journalism program, said integrating Indigenous education into the journalism program has been discussed. No action has been taken yet, Perdoma Paez told J-Source in an email. Mount Royal University in Calgary has rejected creating a mandatory course about Indigenous issues. But the school isn’t ignoring the topic. Student journalism often focuses on Indigenous issues. The TRC’s report in 2015 came out as the university was developing and launching a strategic plan to Indigenize curriculum across all programs at the university. After talking with several First Nations leaders, they chose against creating a mandatory course specifically about Indigenous issues. Having a specific course would be like “checking off boxes as opposed to really coming to understand what it means to be part of the Indigenous community and what the Indigenous community has been,” said Brad Clark, director of the journalism program, noting mixed responses to mandatory classes at other schools. Thompson Rivers University in Kamloops, B.C. has been incorporating Indigenous content in its journalism program for years. An Indigenous journalist, who has since left the position, was hired to help strengthen the school’s connections with Indigenous communities, program director Charles Hays wrote in an email. The school has not taken on new initiatives because of the TRC, but has instead decided to focus on continuing what it was already doing to incorporate Indigenous content across disciplines. Not all mandatory courses that discuss Indigenous communities may give students the complete picture of Indigenous life in Canada. Several schools said their journalism programs include material about Indigenous communities in courses about diversity in the media, or reporting on marginalized groups. “That’s not the sum total of the Indigenous experience in this country,” said McCue, who has spoken at schools across Canada about how to prepare students to report on Indigenous communities. “You run the risk of narrowing students’ conception of Indigeneity if that’s all you focus on.” Journalists need to avoid relying on tropes like warriors and victims in their coverage, and professors need to do the same when they teach, he said. Many schools said their greatest challenge in responding to this Call to Action was finding a way to do it well – and quickly – with limited resources and time. There are factors they can’t control: course changes need to be approved; new courses take time to develop. (McCue said he spent about six months developing his course and received a grant from UBC to create it.) Department heads can’t control the size of their budgets. But universities don’t need to bust the bank to increase Indigenous content – although they need to be willing to invest in it financially. Indigenous content can be incorporated into all journalism courses – McCue has spoken about it in sports journalism classes. Journalists for Human Rights offers free workshops about reporting in Indigenous communities. But universities need to be willing to spend money: guest speakers should be compensated; schools should help pay for students’ travel costs if they need to travel to cover Indigenous communities. But the resource universities should spend the most time investing in is hiring qualified staff to teach about Indigenous content, educators agree. This means hiring professional Indigenous journalists, or non-Indigenous journalists with established expertise reporting about Indigenous communities. Shannon Avison has taught at First Nations University in Regina for three decades, and for the past few years in the University of Regina’s journalism program. 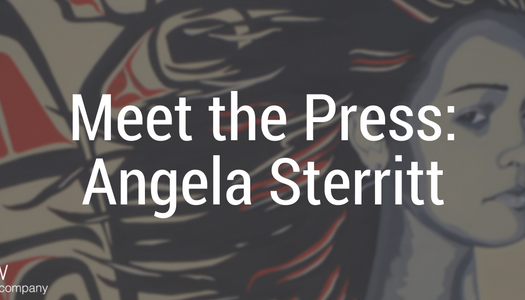 She’s not Indigenous herself, but considers herself a “grateful ally” to Indigenous peoples. She’s written for Indigenous publications across Canada for years. Finding those professors can be challenging. McCue said, in his opinion, there’s not currently enough Indigenous professors to fill these spots, but he also doesn’t think it’s necessary. During the 2016 Winter semester, Ryerson professor Asmaa Malik dedicated her masters level digital reporting class to working on Indigenous people’s stories. The result is “This is a Canadian Issue.” Screenshot by J-Source. Professors are quick to point out how important it is for journalists to understand Indigenous communities. William Lahey thinks it’s crucial journalism students understand how Indigenous law works in Canada. This means knowing how the courts and Constitution relate to Indigenous law, and how Indigenous communities are governed. “Journalists play a critical and important role for ensuring there’s accountability for how the authority to govern is exercised, and that applies with Indigenous government as much as it does to every other kind or order of government that we have in Canada,” he said. If journalists don’t know how it works, they can’t properly report on it – or critique it. Proper reporting on Indigenous communities requires taking the time to establish relationships and trust with these communities. The best way students can learn about these communities is to spend time with them outside of the classroom, said Avison. The best courses are developed when schools establish relationships with Indigenous communities. Spending time to understand an issue and the people involved it is something journalists should do regardless of the assignment. But as McCue noted it’s especially important when reporting on Indigenous communities to build those bridges because of a historic mistrust many in these communities have of the media. However, students need to understand the different cultural expectations between journalism and Indigenous communities, said Jeffrey Dvorkin, the director of the journalism program at the University of Toronto’s Scarborough campus. The school partners with Centennial College to offer a degree in journalism. White students are the minority at the Scarborough campus said Dvorkin. The program has focused on helping students report about different cultural communities since before the TRC’s report. He said it’s important for journalists to understand the important role of culture in their reporting – whether their own culture, or the culture they’re reporting about. Dvorkin was working at CBC’s The National during the Oka Crisis in 1990. CBC didn’t always cover the story well, he said. It can be difficult to balance newsrooms’ demands of deadlines and ratings with a community’s desire to be portrayed accurately, said Dvorkin, and both Indigenous and non-Indigenous reporters have to tread carefully to maintain sources amid cultural protocols and internal community debates. Dvorkin can’t say if his reporting would have been better had he known more about Indigenous culture during the Oka Crisis – although he’s asked himself these questions for years. But it would have been different. “It’s just those points of convergence where job expectations, culture and the news agenda pound into one another and there’s no nice outcome from any of it. But that’s a pretty good reflection of the reality of the situation in this country,” he said. McCue said he sees coverage of Indigenous issues improving – and it will get stronger as more journalists learn how to do it well. “My great hope for change is in the next generation of journalists. They’re the ones that are really going to make a difference,” McCue said. Meagan Gillmore is a freelance journalist in Toronto. She worked at the Yukon News in Whitehorse from July 2012 to August 2013. You can follow her on twitter @meagangillmore.